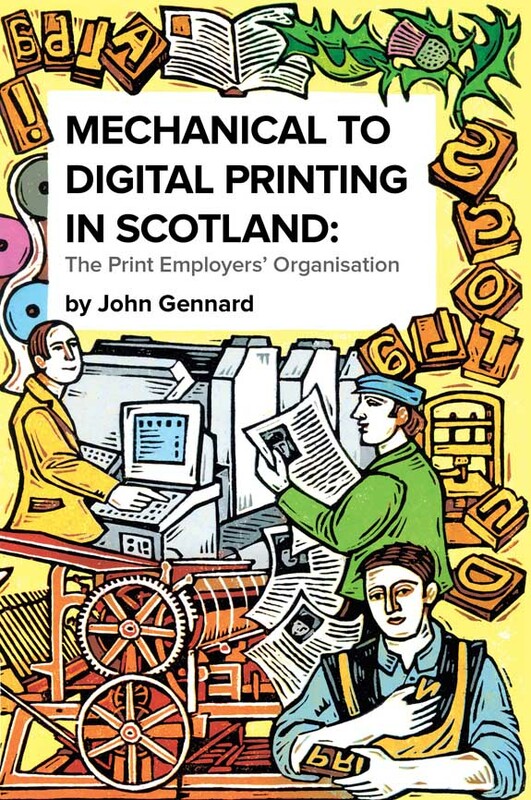 The Scot­tish Print­ing Archival Trust was formed in 1988 to con­serve ‘knowl­edge and exam­ples of Scotland’s print­ing her­itage for the ben­e­fit of the pub­lic and print/media edu­ca­tion’. It pro­motes inter­est in the his­to­ry of the Scot­tish print­ing indus­try, which is one of Scotland’s old­est and col­lects print trade ephemera, also work­ing with insti­tu­tions across Scot­land to ensure that print­ing archives and arte­facts are not lost. The Trust also pub­lish­es books on the print­ing indus­try in Scot­land. The most recent is a leaflet on the print­ing indus­try in Glas­gow. 2018 was the 30th anniver­sary of the Trust’s foun­da­tion. 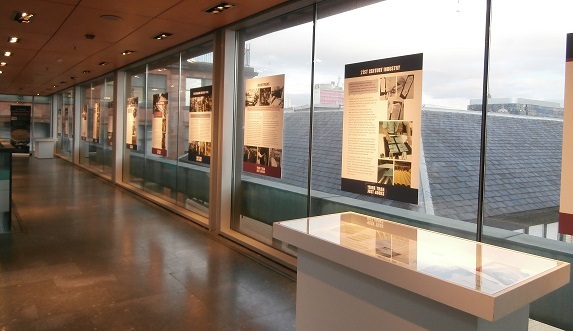 To mark the occa­sion the Trust arranged an exhi­bi­tion on the her­itage of Scotland’s print­ing indus­try in the Glas­gow Her­ald’s for­mer print­ing works, at the Light­house. The free exhi­bi­tion, More than just books, ran from 9 Novem­ber 2018 to 10 Jan­u­ary 2019. A selec­tion of the pan­els from this exhi­bi­tion are cur­rent­ly on dis­pay at Edin­burgh Napi­er University’s Mer­chis­ton cam­pus library, 10 Col­in­ton Road, Edin­burgh EH10 5DT. Oth­er activ­i­ties, under­tak­en with the gen­er­ous spon­sor­ship of the John Wat­son Foun­da­tion, have includ­ed guid­ed walks and train­ing work­shops on tra­di­tion­al let­ter­press skills. There is more infor­ma­tion about these on our Projects page. Details of guid­ed walks and any oth­er events will be announced on this web­site, or you can fol­low us on Twit­ter. The T rust’s books on the Scot­tish print­ing indus­try include Mechan­i­cal to Dig­i­tal Print­ing in Scot­land by the late Pro­fes­sor John Gen­nard, chart­ing the 100 year his­to­ry of the Scot­tish print employ­ers’ organ­i­sa­tion, pub­lished in asso­ci­a­tion with Print Scotand (for­mer­ly Graph­ic Enter­prise Scot­land). There are also four books in the Rep­u­ta­tion for excel­lence series of books on local print­ing indus­tries in Scot­land, print trail leaflets cov­er­ing Edin­burgh an Glas­gow, and a poster of Rules for the print­ing shop. You can buy any of the Trust’s pub­li­ca­tions through our online shop or down­load a form to order offline. For more infor­ma­tion about any aspect of the Trust’s work, please con­tact the Hon­orary Sec­re­tary, use the con­tact form or fol­low us on Twit­ter. Mate­r­i­al from this web­site should not be repro­duced with­out per­mis­sion.